I'm Kyra, 22. I'll mostly add things I like, posts about feminism, and fandoms I'm a part of. The phonetic alphabet was developed as a way to spell things out over radio communications that may be less then ideal, I.E. a lot of static or weak signal. All the words were chosen because they have a distinct sound that is easy to pick out. 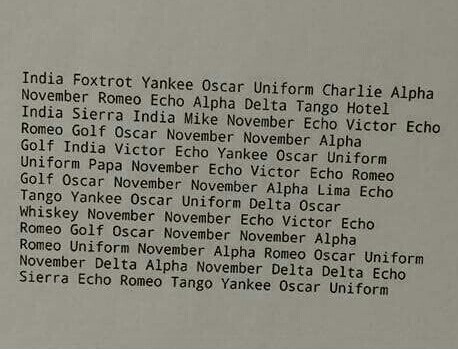 Military and police communications use the phonetic alphabet heavily and can be helpful to know for talking over CB’s or FRS (walky talky) radios.